What happens when you put world class musicians together, stir in rock, prog , jazz and a whole lot of inspiration? 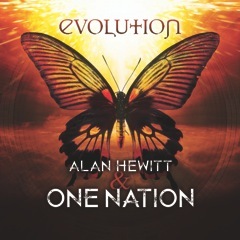 You get ALAN HEWITT & ONE NATION … a fusion of great songs and great performances influenced by their predecessors, Return to Forever, Weather Report, and Mahavishnu Orchestra. Alan gets back to his roots of singer/songwriter. The first single from High Fidelity “Save Me” goes to global radio 10/1/12 and the full Cd “High Fidelity” will be available 10/18/12. Alan played most of the instruments and sings lead vocals as well as writes & produces all the songs on High Fidelity. Purchase this album on CD Baby! 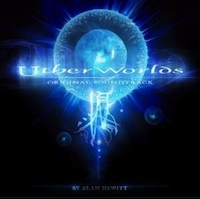 Alan Hewitt is the composer on the critically acclaimed Utherworlds. Utherworlds is based on the imagery of Phil Straub. To complement the Utherworlds book, Phil Straub’s Unity Entertainment company has created an evocative theatrical soundtrack with renowned composer Alan Hewitt including the Utherworlds Theme, and compositions on the major characters and locations of the Dream and Nightmare Realms. Retroactive, features performances from Greg Adams (Tower of Power), Paul Jackson, Jr.(everybody), Steve Madaio (Stevie Wonder) and Steve Oliver. Purchase Retroactive on CD Baby! Metropolis puts it all together, making it a must have for any contemporary jazz fan, or for that matter any music fan. While Metropolis features Hewitt’s unmistakable way with a catchy hook and seductive groove, he brings an intensely urban, neo jazz flow into the mix, balancing the lush ballads with edgier tunes. ARTISTS: Gerald Spikes, Jervonny Collier, Brian Pric, Chad Wright, Shea Chambers, Steve Madaio, Wendell Kelly and Steve Oliver. 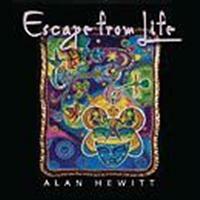 Music is as elemental to Alan Hewitt as his heartbeat. Combining lessons learned in his adventures as an artist, composer, producer he created the beautiful melodies and pulsing rhythms for Escape From Life. 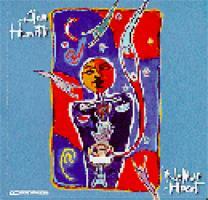 Music is as elemental to Alan Hewitt as his heart beat. He lives music. Alan was given a unique gift few others received; the ability to make a diversity of musical styles from rock to jazz to R&B to classical his own. This was only released in Asia. Released on: in the [gruv:] PONY CANYON records. 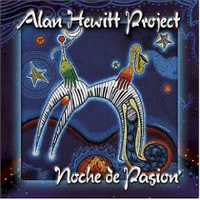 Alan is lead vocalist on “Native Heart” and is featured on piano, synthesizer, drums and African percussion. Jon Defaria (Kitaro, Jon Secada, Miami Sound Machine) contributes on nylon guitar as well as electric guitars. Randy Mitchell (Donna Sommers) plays acoustic and electric guitars. Marty Ward (Marty Ward CD – Midwest Records) performs on alto, tenor and soprano sax. Jim Ross (David Benoit, David Foster) plays viola. Paul Klingberg, award winning engineer (Earth, Wind & Fire, Ramsey Lewis, Urban Knights, Pat Metheny, etc.) mixed “Native Heart” in Dolby Surround* at Mama Joes Studio in Hollywood. Sands of the Kalahari. 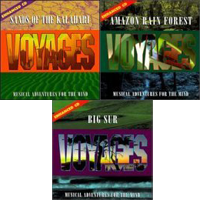 Amazon Rain Forest, & Big Sur “Voyages” the visually Enhanced CD on 215 Music. Check them out at Amazon.com. 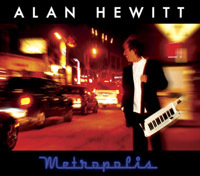 Chances are very likely that you have heard Alan Hewitt’s music before without ever knowing it. The keyboardist/composer/producer has a number of music projects to his credit including songs featured in movies such as Bridget Jones and The Edge of Reason, in addition to instrumentals specifically made for television shows like Entertainment Tonight, Access Hollywood and the Oprah Winfrey Show. Hewitt is not one to remain confined to a recording studio. He has shown a penchant for enjoying the thrill of performing live in front of audiences, and takes great pleasure in playing on jazz cruises and has even embraced the role of being the music coordinator on some of them in the past. The energy that he soaks up while performing on stage with fellow musician seems to fuel his impetus to compose new material, which he is proudly presenting on his solo CD Retroactive. 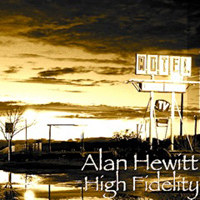 An ardent smooth jazz musician, Hewitt sculpts every track into a fine piece of workmanship. Produced byHewitt and Paul Klingberg, Retroactive offers a delightful repertoire with relaxing R&B curves, smooth funk grooves, contemporary jazz motifs, and nightclub-inspired nuances. Each song has its own intricate detailing whether it’s the vivacious guitar raptures of Brian Price in “Saturday Afternoon,” or the sinuous curls of Will Donato’s saxophone in “H2O,” or fluttering chimes of Hewitt’s xylophone in “Amagine That,” each track comes alive with its personalized traits. Hewitt’s keyboards beautify the tracks ranging his models from dazzling swirls to soft trickling droplets depending go which way the mood of the music moves him. His interpretation of Isaac Haynes’ popular single “Shaft” takes the R&B/funk gilded pop track into the realm of contemporary jazz. Hewitt is an artist in the true sense of the word shaping frilly guitar riffs and nimble piano keys in “Big Bang” which trail off into a series of flashing sparks while the gentle fluidity of “Nassau Blue” fosters a mood conducive to cuddling. 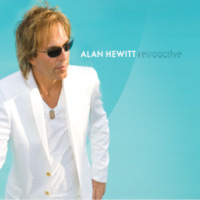 Retroactive displays Alan Hewitt’s keen melodic sensibilities and prolific imaginings. A smooth jazz buff to his core, Hewitt’s music reflects the beauty inherent in life and cranks up its positive vibrations to an exhilarating pitch. Sunset” and title track “Metroplois”. on guitar by Steve Oliver (High Noon, Chips & Salsa) . discerning Smooth Jazz lover’s library. most notably Blue Sky with it’s wonderful guitar lines. smooth jazz release that’s better for it’s inclusion of so many cameo artists. by many respected professionals in music, film and television. become serious about cultivating his dream of becoming a multi-faceted artist/composer/producer. numerous performing awards. Eventually he landed a deal on Rockshire Records, but the label faded. produced and re-mixed hits for Earth, Wind and Fire and Jonathan Butler. This latest release gets Alan back to his roots of singer/songwriter. The first single from High Fidelity "Save Me" goes to global radio 10/1/12 and the full Cd "High Fidelity" will be available 10/18/12. Alan played most of the instruments and sings lead vocals as well as writes & produces all the songs on High Fidelity.